All sorts of adventure is in store! Something Old. Something New. Something Borrowed. Something Ew? 2016 looks to be a year of resurrections, sequels, prequels, prequel sequels, oh my god FINALLY, and Tom Clancy and Bethesda everywhere, with a couple of fresh faces thrown in. And while some games (like the newest Tomb Raider) appear to be console-only, there's more than plenty for PC gamers to look forward to. After scouring the corners of the internet to try to gauge what people were drooling the most over and anything resembling a release date, this list was finally formed, but feel free to add your own personal must-see PC games for 2016 in the comments section below! For every kind of badass. With a wide selection of badasses to choose from and master, even more yet to be revealed, and the option to play solo or co-op, through a story or against other players, Battleborn boasts that it will, indeed, be for every kind of badass. The characters available are pulled from a multitude of genres – from things like the archetypal elven archer to the heavy to a… clockwork butler? – and the options for play cater to a variety of tastes. Considering that Battleborn is brought to you from the same people who gave birth to the wild, irreverent world of Borderlands and its Badass Crater of Badassitude, this game has the potential to be a colorful, larger than life ride, fully living up to its tag line. Personal freedom comes at a price. 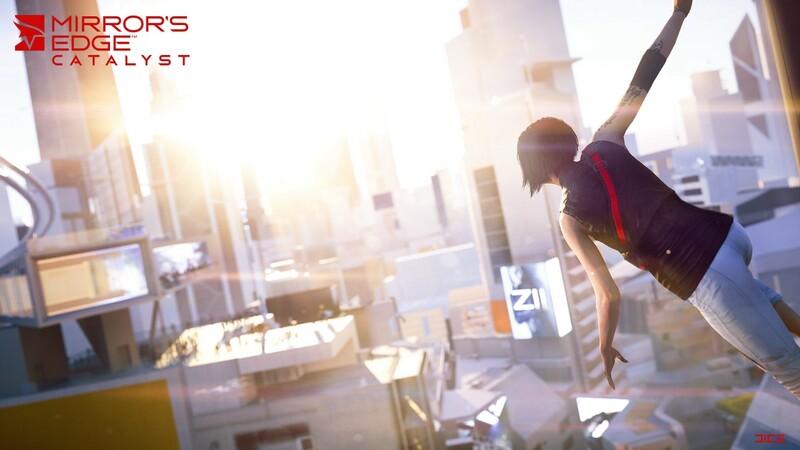 Prequel to the original Mirror's Edge, you're taken through Faith's origins in the city of Glass. Gameplay-wise, the physical limits promise to be broken wide open from the first, with the world opened up to make the parkour traversal all the more exciting and challenging, while also tied into the combat, complete with races and puzzles. A multiplayer function will exist through challenges and leaderboards, but you won't be playing alongside or running into a sea of other Faiths or Troll!Faiths on your way through the city. Drugs. Crosses. Cowboy hats. Backpacking across Bolivia. Like, ALL of Bolivia. 'Splosions. Good times. As part of the legendary military spec ops team known as “The Ghosts,” it is your mission to deindustrialize the Santa Blanca drug cartel and their hold over the country of Bolivia, in a game world with the size and changeable life of something you'd expect more from an MMO. Offering both single-player and four-player co-op, Ghost Recon is an open world tactical shooter that promises an environment that is meant to be shaped and fully explored with its variable and far ranging map that's responsive to the choices you make, the time of day, and even the weather. Familiar faces. New skills. The path to greatness begins here. The latest of the Street Fighter series that a lot of us have grown up with, Street Fighter V breathes new life into the franchise by kicking the detail and animation of its visuals up a notch through Unreal Engine 4 and introducing a new aspect to the combat gameplay with its V-Skills while dropping the focus attacks of its predecessor. 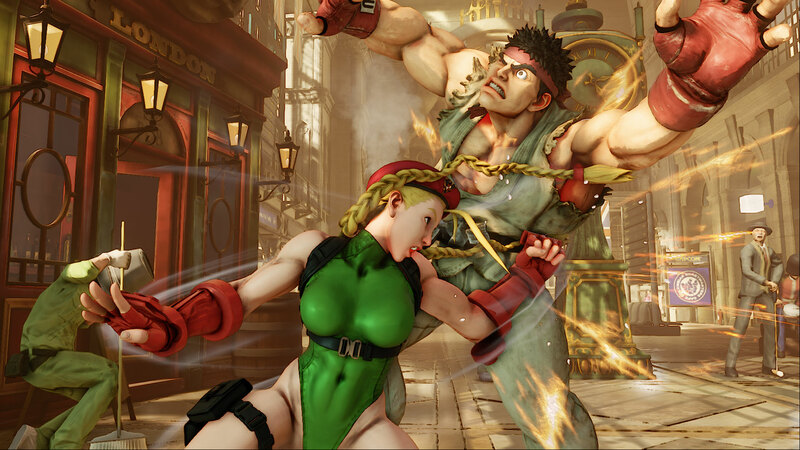 Single or multiplayer, Street Fighter V will also allow players to interact across platforms. Whether or not this will foster peace between the PC Master Race and the perceived peasantry or inspire full out war, only time will tell. You move or you die. Get your splatter on. Another name that some of us have grown up with, it's been over 10 years since the last Doom game was released, with the latest installment of Doom having gone through hell since it was confirmed back in 2007. “Doom 4,” now only “Doom,” has been scrapped and rebuilt in the past couple of years, and will feature some of the old and a whole lot of the new in what it offers – from creatures to weapons to indicators and player-created maps and mob logic. Though still a FPS, movement will be pushed to a new level with double jumps and parkour-like mantling, demanding mastery, as there will be little by way of cover or no health regen offered in this latest incarnation. Single or multiplayer, there will be no rest for the wicked. Figure out how to flip your vehicle onto its back and get stuck like that in a whole new galaxy. 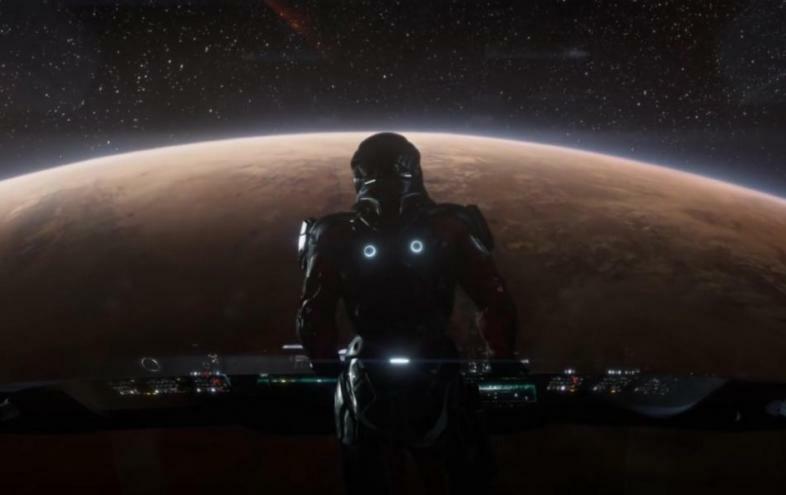 The Shepard Triology officially over, Mass Effect is taking a step in a new direction – into a whole new galaxy – with Andromeda. And while Chris Priestly has been adamant about Andromeda being its own game, there are plenty of familiar “faces” in the trailer… if armor and vehicles and weapons had faces. The description thus far harkens back to another time, a simpler time, of discovering and exploring new planets and... OMG THE MAKO?! Sign me up. Maybe naturals would be less afraid of the augmented if you didn't run down the street elbowing them out of your way, Adam. Geez. The sequel of a prequel, Mankind Divided is the follow up to the open-ended Deus Ex: Human Revolution. 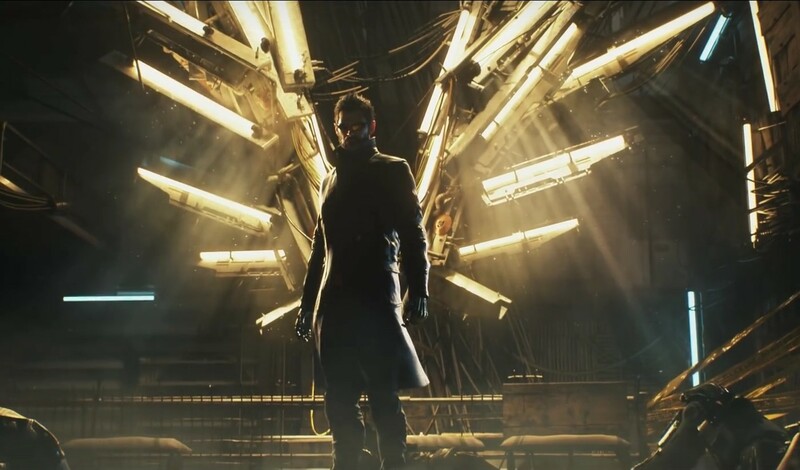 It's been two years and the division between naturals and the augmented is violent and unstable, and Adam Jensen finds himself in the middle. 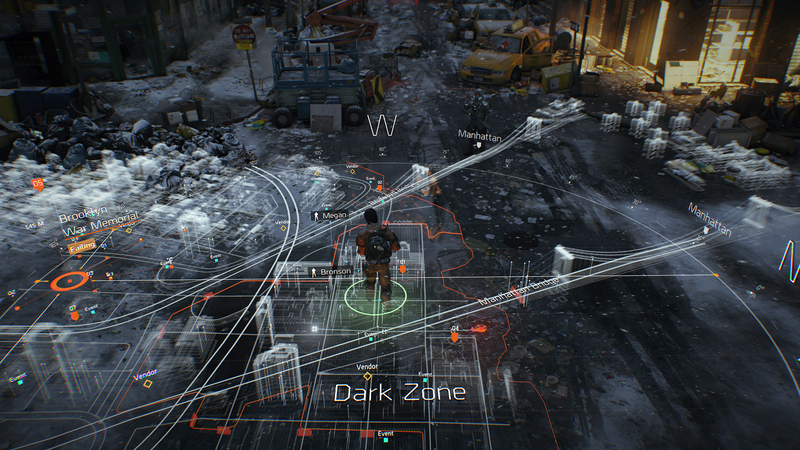 You've got new weapons, new augments, and new elements of conspiracy to uncover. Along with eating up more of the story, you will be provided with a more customizable UI, improved cover system, remote hacking, and New Game Plus mode – a feature that was missing from Human Revolution – for added replayability. The years are long, but it's always good to see a familiar face. An outlaw now, the Empress seeks to reclaim her throne by becoming an assassin. Makes perfect sense! In Dishonored 2, you will get the chance to play as either former Empress, Emily Kaldwin, or the protagonist of the original Dishonored, Corvo Attano. What you learn and how you see the story will play out according to which character you pick, so there will be an innate replayability to Dishonored 2. Gameplay-wise, it is set to be more difficult than the original, and offers the options of going loud, going stealthy, or a rumored “third” path that has yet to be revealed, all through Bethesda's new “Void” engine. Looks like a typical Black Friday to me. The Division is a group of seemingly normal, everyday folk who were trained as fighters and then activated to fight back the chaos after a pandemic heralds the collapse of society. Anyone who's watched the last two seasons of The Walking Dead knows that zombies aren't necessarily the worst things you'll run into during a dystopian plague-ravaged near-future scenario, and it's that side of things that this game seems to be focusing on. So far, The Division has a virus to avoid catching, a criminal element taking advantage of the chaos that needs beating back, a collapsed government that needs putting back together, and a potential conspiracy for you to work through, by yourself or with others, as it's billing itself as a Massively Multiplayer third person shooter. Once all the fires are out, we can live off of the flames of a giant, burning NO THANK YOU, right? Moving forward into the bleakness, Dark Souls III takes you back into the world where now “only embers remain.” That's a happy thought. Though it will be carrying over gameplay design from the previous Dark Souls games, this one promises faster combat – from overall movement to more rapid attacks – and a “ready stance” that will allow the player to do extra damage than they would without it. It also intends to spotlight the lore, part of a push toward the role-play aspect of the game, along with an expanded character builder. It will also, however, have fewer maps than Dark Souls II, but hopes to make up for lack of quantity with higher quality by creating larger, more in-depth and explorable maps. Over 18 quintillion planets. What. We're gonna need a bigger algorithm. With no official release date yet, the HOPE is for 2016, but with how ridiculously HUGE of a game universe No Man's Sky plans to present, who knows. A sci-fi exploration game unlike any other, No Man's Sky will let you travel to any light in the galaxy, any planet around that star, and uncover a totally unique, procedurally generated world – from flora to fauna, environment, enemies, everything. All I can think of is Skyrim meets Spore meets Mass Effect meets EVE – I don't even know. Explore. Find a planet. Share it with other players through The Atlas, and get credit for discovering it. Buy and trade with other players at fleet hubs. Or play it offline and keep your galaxy to yourself. Either way, save often! That's a lot of data to lose. From ridiculous size and possibility to sheer nostalgia, the games of 2016 are shaping up to provide non-stop thrills and new experiences. Did I leave off something imperative to the PC gaming experience in 2016? Let me know! Until then, remember to game responsibly! Subtly keeping with the angel motif. This counts as subtle, right?